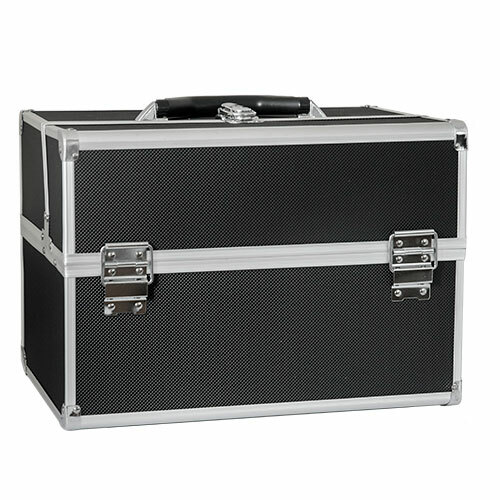 Professional beauty case with detachable parts for even larger storage space. 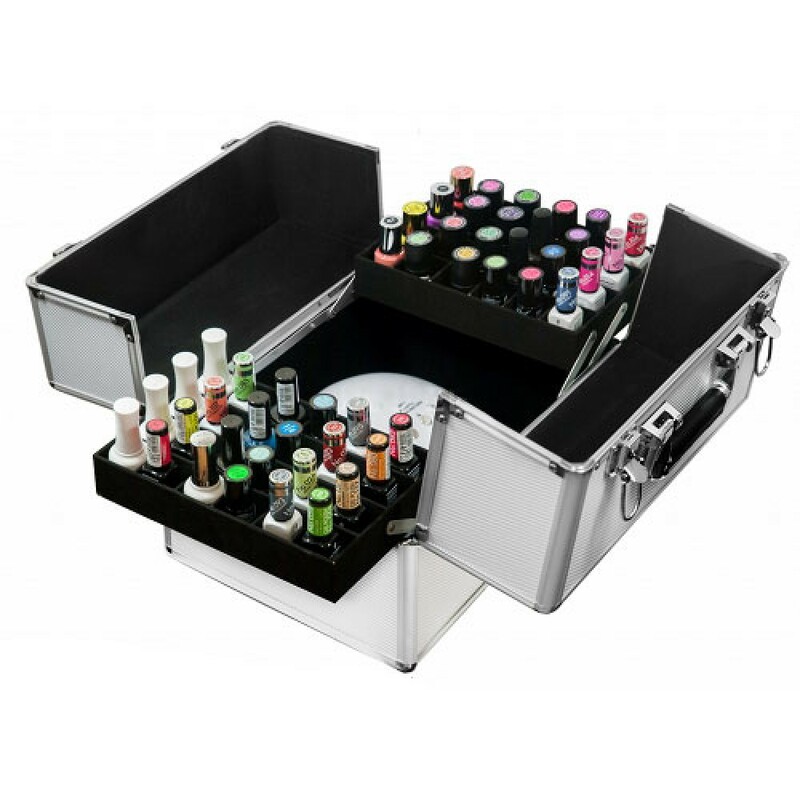 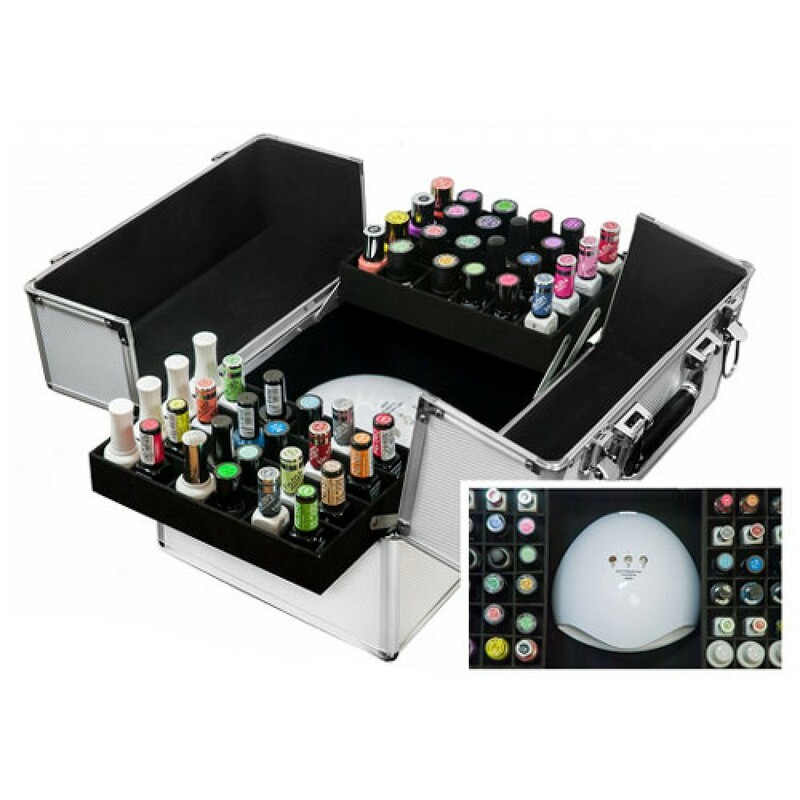 It has folding drawers with special detachable cases for varnishes and other consumables. 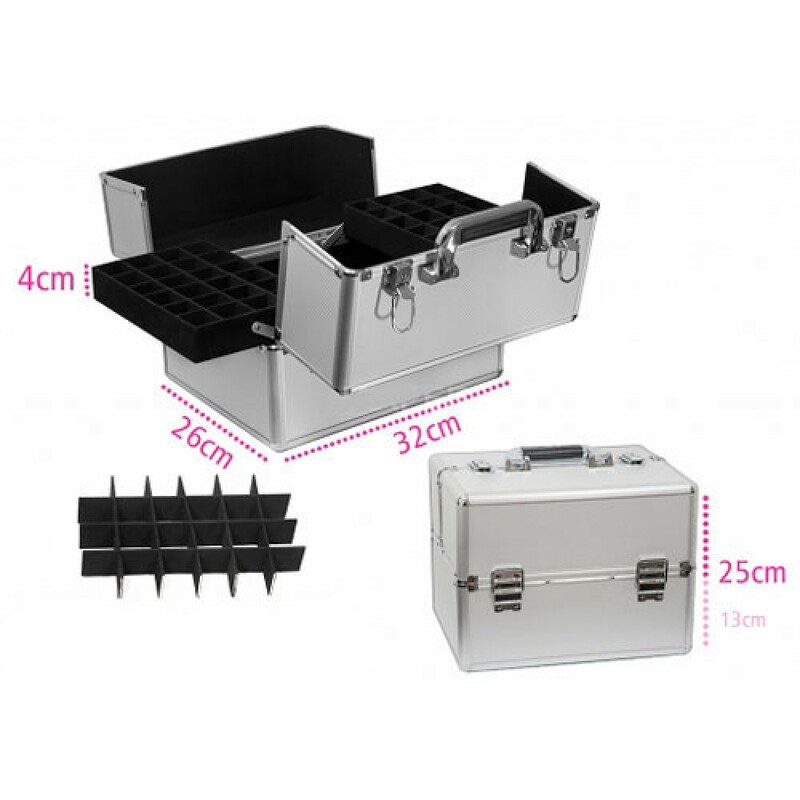 It offers large storage space, ideal for storing and organizing large objects.